Incendia Web Works Review 2019: Is Incendia Web Works a Good Hosting? Incendia Web Works is a fairly new company that offers cheap Linux hosting plans suitable for most small to medium-sized businesses. With two data centers in the U.S.A., they provide support for both beginners and expert alike, with shared, WordPress, and reseller hosting plans. Founded in 2016, Incendia Web Works (IWW) provides cheap Linux hosting servers that utilize the full potential of cPanel on one domain. Their shared hosting plans are better suited to small to medium-sized businesses than big e-commerce businesses with high traffic. IWW operates two data centers in different U.S. states, both of which assure 100% SLA on cooling, power, and network. Their shared hosting packages start with the Economy plan that provides 512 MB disk space and 30 GB premium bandwidth, which should be enough to host most basic websites. If your needs exceed those limits, you can scale all the way up to the Ultimate plan that provides 10 GB disk space and 750 GB premium bandwidth. I especially like their 1-click installer, which allows you to set up several CMS systems including WordPress, Joomla, Drupal, Magento, and Fantastico. WordPress shared hosting gives you the same storage space and bandwidth as the shared plans, but you also get expandable cores, 4GB DDR4 RAM, and FlameCache (which means don’t need to install a cache plugin such as the top-rated but problematic W3 Total Cache plugin). IWW plans suit beginners more than expert users. Multi-site might not be possible even with the reseller packages because of the mapping of one cPanel to one website. Also, PHP is the only supported development language. However, IWW supports several Linux-based configurations and servers including NGINX, CloudLinux, Apache mod_lsapi, and many PHP versions. They also offer a good replacement for MySQL in the form of MariaDB that offers a variety of cutting-edge features and great performance. IWW provides cheap configurable hosting services, which may offer good value even without an included domain. They also offer Let’s Encrypt SSL certificates, which you can use for free until you know you need a paid certificate. Customer support can be contacted via phone, live chat or ticket, and I can tell you that I received an immediate response when I sent an email. Their knowledge base is basic and could be better. Incendia Web Works provides seamless Linux hosting suited to the needs of small to medium-sized businesses. Beginners will find it easy to use their platform thanks to cPanel and the 1-click installers for a variety of CMS systems. However, their plans are only really suitable if you want to host a single website and develop using a single language (PHP). Prospective purchasers with more extensive needs will have to look elsewhere. 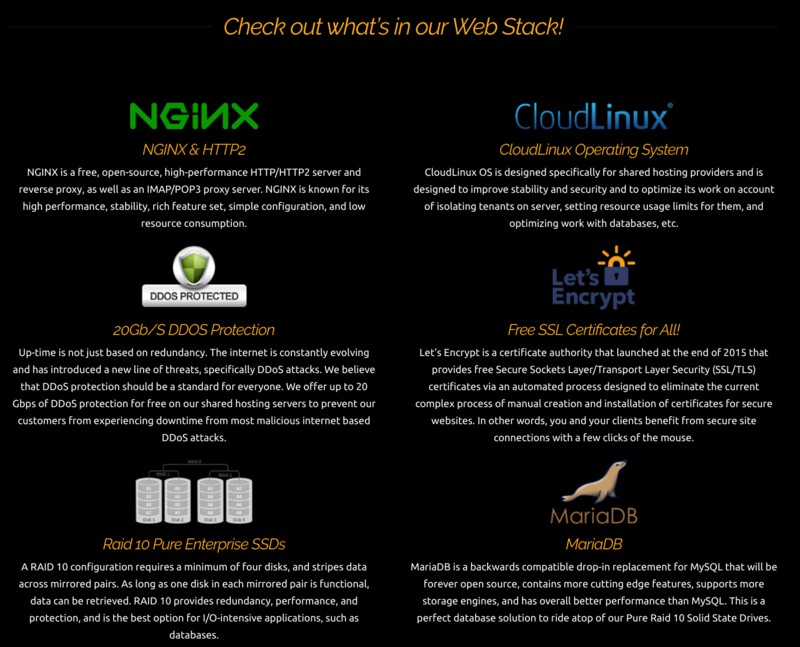 Wondering how Incendia Web Works stacks up against other Web Hosting companies? Enter any other Web Hosting company and we will give you a side-by-side comparison.